This will be an interesting RANT, written as I drive back to Denver today. My wife and I visited friends in Scottsdale for Christmas, and today we’re driving to Santa Fe to spend the night. Diana is driving as we speak, and I’m in the front seat typing over the shoulder of my panting pup, Giselle. Hold on, we’re turning left on Highway 377, in the ironically named Snowflake, Arizona. I copied a slew of “horrible headlines” this weekend to write about, but given that I’m doing most of the driving, I won’t have time to give commentary on them in this RANT. Instead, I’ll just write about today’s RANT topic, answer your myriad holiday questions in my mailbox, and add an addenda featuring these headlines, several of which I plan to discuss in my more “normal” RANT tomorrow, written from my office. 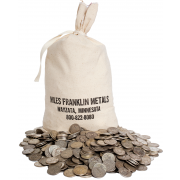 In the meantime, you can fill the info gap by listening to my two podcasts posted this weekend, on the SGT Report and TF Metals, as archived on the Interviews and Appearances page of the Miles Franklin blog site. Each one of these headlines verifies everything I have been speaking of for the past months, including the bullish PM fundamentals, declining GLOBAL economic activity, a terrible holiday shopping season, and the sheer FAILURE of ALL short-term money-printing schemes to improve ANYTHING other than short-term stock prices, such as the below. And one more article which needs to be called out as B.S., exemplifying how even “good guys” like Zero Hedge still don’t seem to understand the most important factor in global financial markets, the Cartel suppression of PAPER gold and silver prices. The article below about China “tightening controls” on gold trading has ABSOLUTELY, UTTERLY ZERO IMPACT on gold demand at all, particularly as 99% of ALL gold pricing still occurs in the New York CRIMEX paper market. Not to mention, gold didn’t decline AT ALL when the below headlines emerged, but many hours later, just after 4:00 AM EST, when gold was stopped cold EXACTTLY at the KEY ROUND NUMBER of $1,600. Gold was attacked by the Cartel in Friday’s EXTREMELY thin pre-Christmas market at EXACTLY 3:00 AM EST, and then again at EXACTLY the COMEX open at 8:20 AM EST, and this morning as described above – end of story! And to think “Dr. Copper” was up 3.8% on Friday for no reason, a daily gain gold has only achieved TWICE in a 12-year bull market, care of the Cartel. 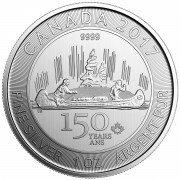 “WAITING” referred to the seemingly interminable periods between Cartel smashes, when day in and out PAPER gold and silver are under pressure, particular during, in the terminology of Bill Murphy of GATA, the “Plan A, Plan B, and Plan C” pattern times of 3:00 AM EST, 10:00 AM EST, and the ACCESS market late in the NYSE trading day. I brought the 3:00 AM EST attack pattern to Bill’s attention circa 2003, and added the 8:20 AM EST and 12:00 PM EST times to my observational repertoire in the ensuing years, not to mention the Sunday night DEATH STAR attacks that have become prevalent since “D-DAY” just over a year ago, when the Cartel stepped up its suppression tactics to spiritual levels. When amidst such “WAITING” periods before the next rise, it appears the misery will never end, particularly when one owns large positions in mining stocks, which have dramatically underperformed PHYSICAL metal for as long as I can remember. During such bleak periods, refer to the table I constructed last week, depicting how, thanks to Cartel pressure, gold tends to “consolidate” close to 75% of all trading days, making up for the misery in the quarter or so remaining days, such as during July and August 2011, when gold rise from $1,480/oz to $1,900/oz, and silver from $34/oz to $45/oz. The other thing that’s important to remember is we are very, very close to the ultimate END GAME, when not only the gold Cartel, but the political Cabal hoping to retain POWER by kicking the can down the road, runs out of pavement and watches the razor-thin threads holding the global financial system together permanently sever. Thus, the level of Cartel ATTACKS on the PM sector, including gold, silver, and mining shares will only grow worse as they protect their 40-year old wealth-stealing system, making it impossible for all but the strongest hands to PROTECT THEMSELVES – those that BELIEVE in their investment and are smart enough to not be too-heavily weighted in mining shares, let alone on margin or other types of financial leverage. In late 2008, gold fell just 30% (due to violent Cartel attack, of course), but the PPT-supported Dow fell 55%, the HUI 65%, and the average junior miner 90%. Not to say history will repeat in 2012, but think about if your portfolio can stand that type of decline if we do see a (very likely) market crash event. Moreover, don’t forget that due to the exponential, obviously unregulated growth of PM NAKED SHORTING, which now accounts for MORE THAN 50% OF ALL LARGE-CAP MINING STOCK TRADES, the supply of mining shares has become essentially UNLIMITED in size, as opposed to PHYSICAL metal, which is so scarce that production peaked ten years ago, with ALL the gold EVER mined throughout history only voluminous enough to fit under the Eiffel Tower’s base, and less than one billion ounces of above ground silver remaining on EARTH. Let’s also keep in mind it’s Christmas/New Year’s week, traditionally the slowest of the year, and thus the most manipulatable. The list of “horrible headlines” is unending, such as Friday’s news that, just TWO DAYS after the supposedly “world-saving” LTRO money printing operation was executed, the Italian 10-year sovereign bond yield EXPLODED higher, slicing through the key 7% level like a knife through hot butter. However, given the thin holiday trading conditions, and FPTB (Financial Powers That Be) mandate to maximize year-end bonuses with “Santa Claus (i.e. PPT-generated) rallies, the odds are nothing dramatic will happen this week (but NO PROMISES!). How ANY hedge fund or investment bank can be awarded ANY bonus this year is beyond me, given that hedge funds are disappearing like dinosaurs after a meteor shower, while banks have reported losses for much of the year, with their ONLY gains attributable to accounting gimmicks such as writing UP falling real estate assets and characterizing their own falling bond prices as “buyable at cheaper prices.” But that’s another story, for another RANT. Use this slack period to ponder all that occurred in 2011, not just in financial markets but your personal lives as well. Think about the microcosmic changes you endured, and how you expect the sweeping macrocosmic changes coming in 2012 to affect you. Trust me, we will ALL be affected, unfortunately not for the better, and only YOU have the power to PROTECT YOURSELF by taking to heart the information you have processed, and advice given, and translating your conclusions into ACTIONS that may mean the difference between “financial life and death” as the most pivotal societal changes in generations sweep over the world’s population. Think about how much you have learned in the past year, and what the worlds smartest people, like Jim Sinclair, have to say. 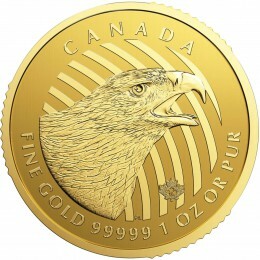 In a special year-end interview given with King World News this week, he made some of his most forceful statements of the past decade regarding the inevitable collapse of the global financial system and PHYSICAL gold explosion, so pay close heed if you aim to PROTECT the value of your net worth in 2012 and beyond. “The amount of discontent and bearishness among people who know better is enormous. It’s moved from bearishness to some form of anger. (This is a) historical bottom, capitulation, a clear sign the gold market is moving into an outrageously oversold position, most certainly in anything that’s a common share. You must not allow your emotions to direct your decisions. Your emotions will always be your best contrary indicator you have. You have to examine the circumstances and ask whether or not the reasons why you’ve committed to something have changed. And if they haven’t changed, you simply need to buck up and go the course because you’re right. People are beginning to literally crack, defined as shifting their total focus to their emotions and away from their intellect. I’ve seen emotionalism in areas where it doesn’t belong, where it’s never existed before. I’m in total shock. When I see people who have distinguished themselves under pressure, over years, let their emotions cloud their judgment, actually letting their emotions break over them like a tidal wave, it puts me in total shock…. “We’re in the most manipulated markets. We’re in the most fraudulent markets in history. There has never been a time when you can have assets disappear from people and modest inquiries take place of the leaders of that company. What you are seeing go on right now favors the bankers and disfavors all others. 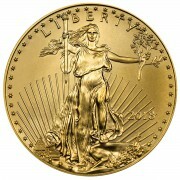 When asked what to expect from gold in 2012, Sinclair stated, “Well into the high $2,000s. And as Truman said, ‘If you can’t stand the heat, you’ve got to get out of the kitchen.’ But let me tell you that when this year is over, the only hands left holding physical gold and gold shares are the strongest hands on the planet. My finances were far stronger in the mining stock heyday of 2003-2007, but the economic and political world has become a far different, essentially recognizable place since then, and my guess is my experience is no different than millions of others over the past five years, the “five years of infamy” that will be recorded as the time the markets broke, the world’s “leaders” turned EVIL, and HUMAN NATURE asserted itself with a vengeance. As we head into the next five years, which I believe will be among the most pivotal in human history, I have never felt so comfortable with my financial decisions, particularly the transfer of ALL my paper wealth to REAL assets, namely my home and PHYSICAL gold and silver. I expect global economic malaise for years – perhaps decades – to come, and thus my primary goal is to PROTECT MYSELF and family, as well as anyone else who will listen. The more people that make such physical, and mental preparations, the more that will SURVIVE the upcoming economic CHAOS and THRIVE when the new, gold-backed order eventually arrives. Have a safe trip and a very Happy New Year! Thanks so much, I couldn’t agree more. Perhaps I can include a clip from Vacation in a future RANT! I hope that you had a great vacation, and that you recharged your batteries for the wild upcoming 2012. Thanks so much, I enjoyed my trip very much. As you will see in today’s RANT, my batteries are topped out! Or my favorite, IT’S A TRAP!